Motorists travelling between Fife and Dundee this weekend are set for three days of misery as major resurfacing works are due to take place. The second phase of the £315,000 improvements on the A92 will be carried out between Forgan Roundabout and the Five Roads Roundabout just to the south of the Tay Road Bridge, with those behind the work insisting it will ensure a smoother and safer journey for motorists. But question marks have been raised over the timing of the roadworks and the planned diversion, given more drivers and families are expected to be out and about enjoying the Easter holidays. 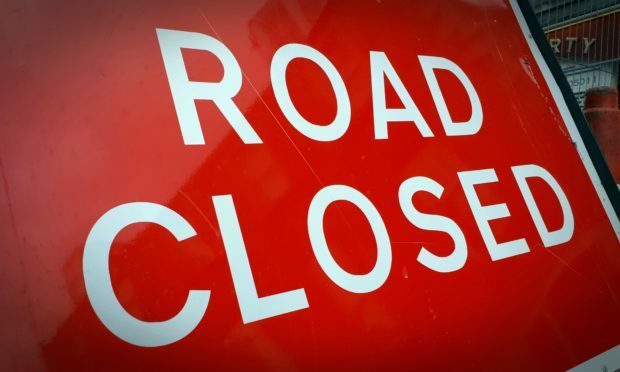 The road will be closed at 7.30pm on Friday and the works have been programmed to take place over one weekend using 24-hour working, with the works due to be completed by 6.30am on Monday. However, diversions will see motorists travelling northbound taken off the A92 at the Melville Lodges Roundabout near Ladybank and diverted north via the A91 and A914 to Forgan Roundabout – a more than two mile diversion which will increase the volume of traffic through villages such as Dairsie, Balmullo and St Michaels. One Dairsie mum, who asked not to be named, fears road safety could be put at risk as a result. “They always seem to be doing these roadworks when it is the busiest time and it seems a long way to go for a shortcut,” she said. The project follows on from a previous phase of surfacing improvements at this section of the A92 which was completed last month. BEAR Scotland, which manages and maintains the trunk roads on behalf of Transport Scotland, said the full road closure is needed in both directions to ensure the safety of road workers and motorists during the improvements. Andy Thompson, BEAR Scotland’s north east unit representative, said consultation had taken place with local residents and stakeholders in advance to make them aware of the traffic management arrangements. “The second phase of these £315,000 works on this section of the A92 will repair a number of cracks, potholes and other issues which will improve the general condition and safety of the road for motorists,” he said. “To keep everyone safe during the project, a road closure is necessary during the improvements. “However, we’ve planned this scheme to take place over one full weekend to limit overall disruption to road users. “We’ll work to complete the improvements as quickly and safely as possible and our teams will do all they can to minimise disruption.